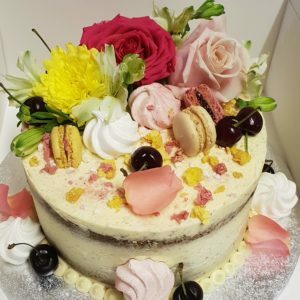 All our celebration cakes can be delivered FREE of charge within zone 1 between 6:30pm-10pm as we make sure each and every single cake and cupcake is hand delivered to you by us. 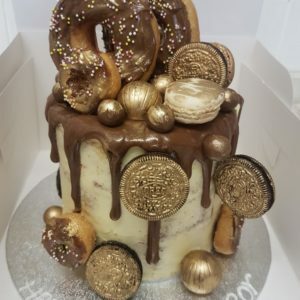 We never ever rely on delivery drivers paid by the hour because ensuring your cake is delivered to your doorstep in the exact same condition it left our bakery is of utmost importance to us! Your cake will stay fresh for at least 24 hours. So if you need the cake for the next day, this is ideal for your party plans as traffic situation can change in a matter of minutes in London. We are adding more postcodes to this service all the time. Please contact us for more details with your exact postcode. Alternatively, collections from IG3 are very welcome. Our chocolate drip is made of luxurious fair trade Belgian chocolate and the buttercream is like no other. 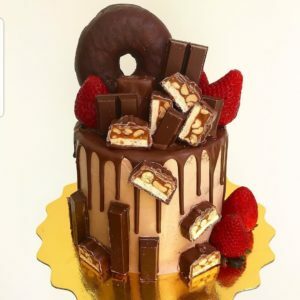 These cakes are truly irresistible and will definitely be a crowd pleaser and satisfy your sweet buds! 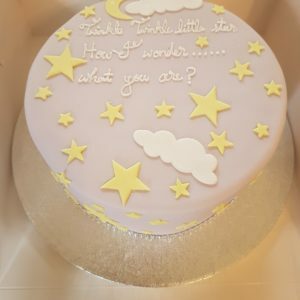 Feel free to add a complimentary personalised message to your cake. 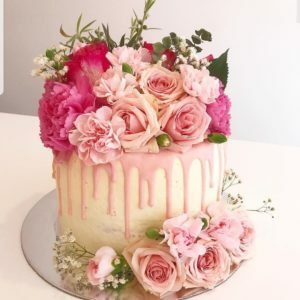 Please do be advised due to the hand crafted nature of these cakes, the cake you will receive may look slightly different to the below images. 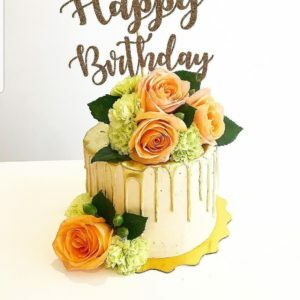 All of our buttercream celebration cakes can be made as a vegan option at no extra charge. 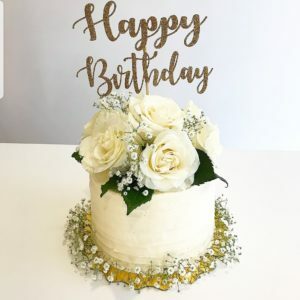 Single tier celebration cake with white buttercream style icing and fresh flowers. Please click here for more information on delivery and set-up charges. A delicious creamy red velvet cheesecake sitting on a biscuit base. 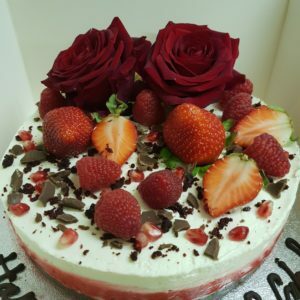 Decorated with red roses and seasonal fruits. 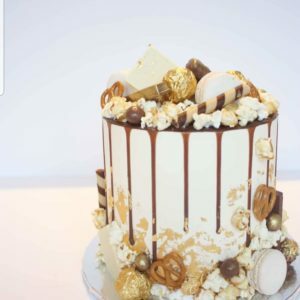 With lightly salted pretzels, chocolates and crunchy toffee popcorn and macarons this chocolate drip cake will have something to offer to even the pickiest of the guests! 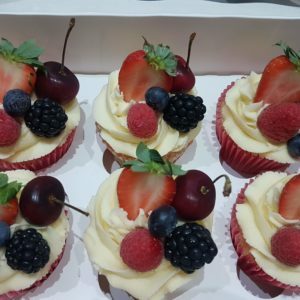 Freshest possible cupcakes with smooth velvetty buttercream topped with seasonal fruits. 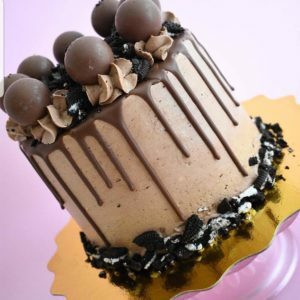 Featuring luxury Fairtrade Belgian chocolate glazed doughnut, Oreos, heavenly chocolate balls and maltesers this cake is for the chocolate lover in you! 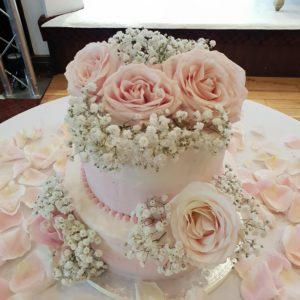 Ivory and pink multi-tone cakes decorated with luxurious ivory and dusky pink roses , finished off with splash of white gyps. 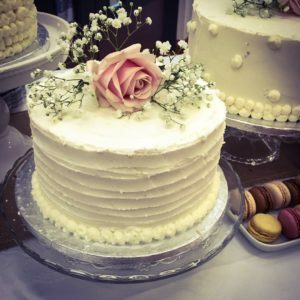 Semi-naked cake decorated with the most delicious fresh macarons, seasonal fruits, mini meringues and flowers. Crunchy Snickers, Kitkats and fresh strawberries (subject to seasonality) sitting snuggly next to yummy doughnut wrapped in luxury Belgian chocolate. 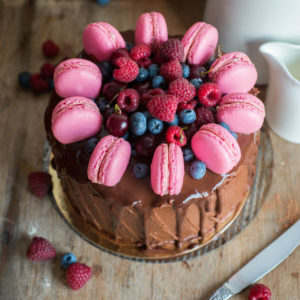 Macaron Cake: Celebration cake with dripping melted chocolate decorated with macarons and seasonal fresh berries. 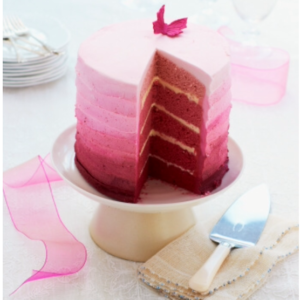 Ombre Celebration Cake: Layers of vanilla and strawberry cake with velvety buttercream. Oreos and chocolate – Need we say more? 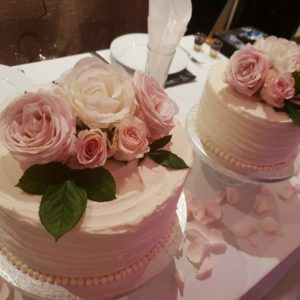 A pair of buttercream cakes decorated with fresh flowers. Perfect for those mini-gatherings and/or an intimate wedding. A perfect treat for a special lady in your life! Roses are Red, chocoalte is sweet. Make your love sweeter with this chocolaty number finished off with red roses. 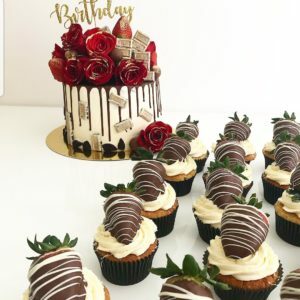 Why not add some cupcakes with luxurious chocolate strawberries (£3.00 each) – depending on seasonality – for those brownie points? 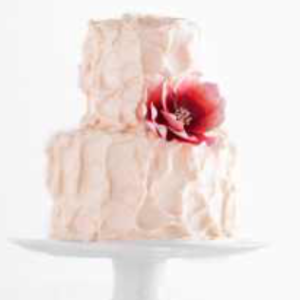 Elegant rustic celebration cake adorned with luxury fresh blooms and gypsophilla. Topper is not included.